A joint project by the Karl May Museums in Radebeul and Volkssolidarität Elbtal-Meißen, Kinderarche Sachsen e.V. and Zukunftswerkstatt Dresden. These partners have set themselves the goal of teaching children between 6 and 12 years old about Karl May’s eventful life, the heroes of his novels and the world the North American Indians lived in. The project participants explore the museum together. 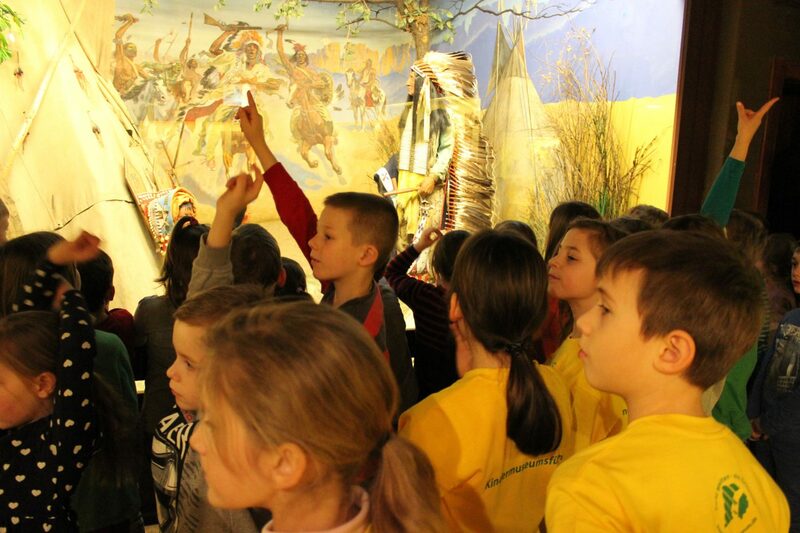 Their goal is to offer other children guided tours of their own creation through the Karl May Museum. The project is documented in text, photo, film and audio posts on a dedicated website: http://aufdenspuren.jimdo.com/. The regular meetings take place on Mondays from 3:00 pm to 4:30 pm in the Karl May Museum. Are you between 6 and 12 years old and want to be child museum guides yourself? Simply contact our project partners at Zukunftswerkstatt Dresden via info@zukunftswerkstatt-dresden.de. Participation in the project is free of charge. 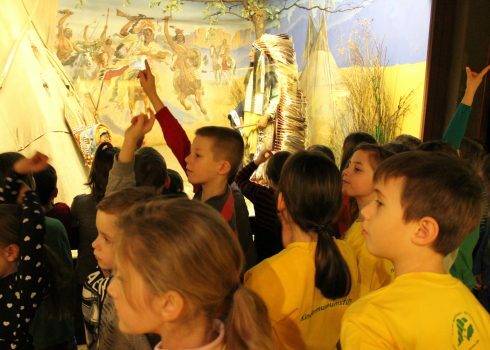 Do you and your relatives and friends want to take part in a guided tour of the Karl May Museum exhibitions by our guide kids? Then call us or send us an e-mail! The “Kids guide kids” project is made possible by “Von uns – für uns! Die Museen unserer Stadt entdeckt.” (“By us – for us. Discovering our city’s museums.”), a service of the German Museum Association as part of the “Strength from Culture. Alliances for Education” of the German Federal Ministry for Education and Research.